, and to show its equation. Enter a new function and repeat the previous steps. 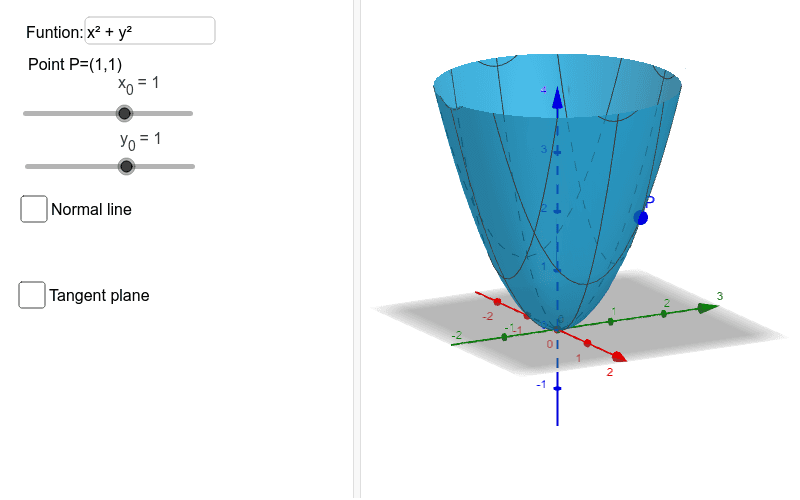 Get more info about the normal line and the tangent plane to a surface at http://aprendeconalf.es.